Take the time and guesswork out of choosing your music. 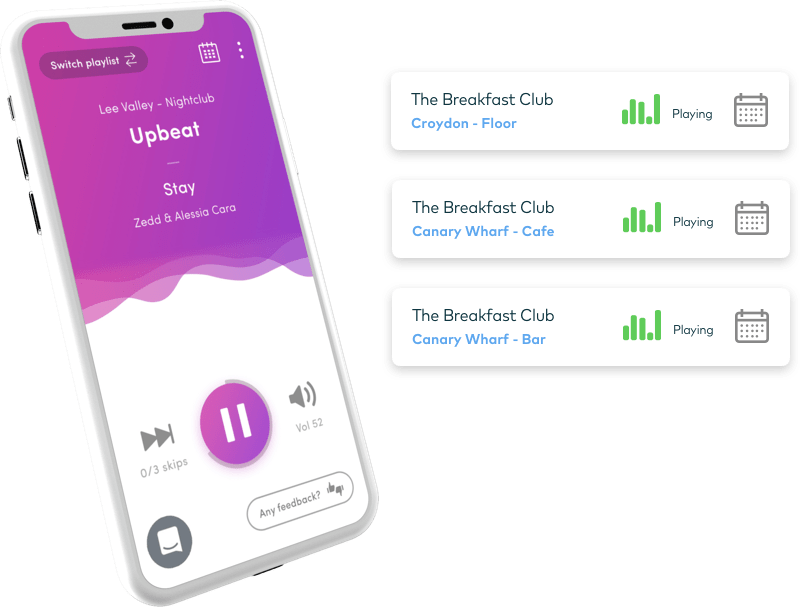 Enjoy unlimited playlists designed by experts, tailored to your brand and trading patterns, and kept constantly up-to-date. Retain full control over your music, from any device. Preview what's playing across all locations. Send fast feedback to our team. Adjust your music on-the-go, to always match the mood. Have peace-of-mind knowing our leading customer team is ready 24/7 to help you and your staff – every step of the way – via live chat, email and phone. Ambie helped us enhance the guest experience by converting our feedback into reality. 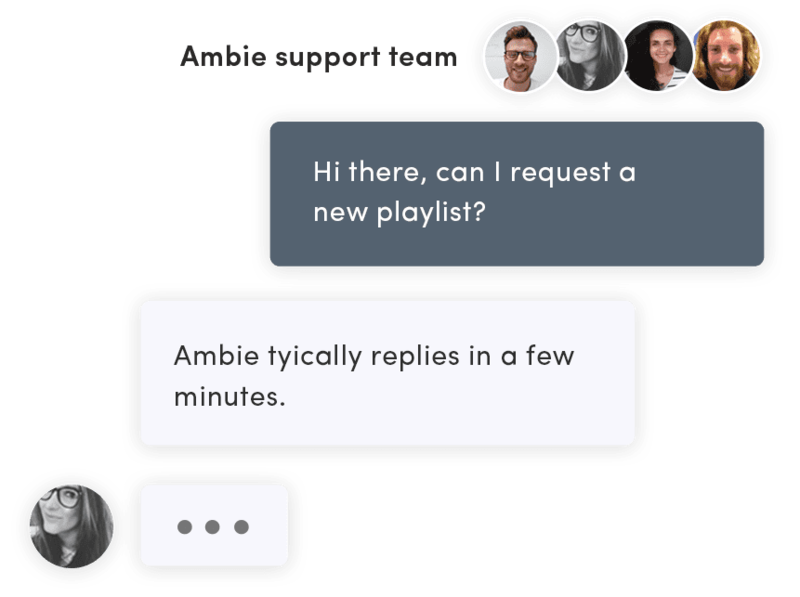 Ambie offer great service, day and night, showing flexibility and perfectly understanding our business needs with music curation. Ambie has given us back control! Our music is consistent across all stores and when I open a new site, I have the peace-of-mind that our music is perfect from day one. The issue we had before with our previous supplier was curation. 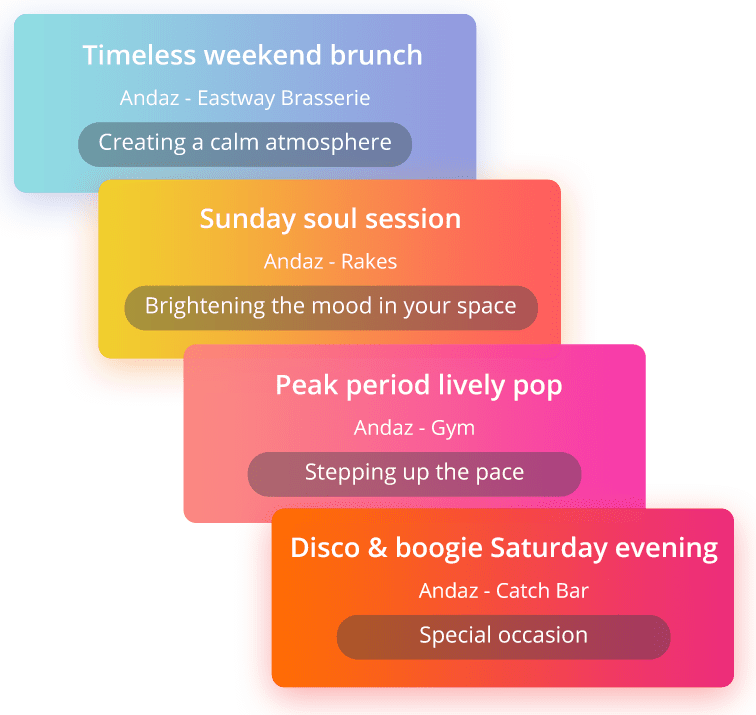 With Ambie, the most important change was the quality of the playlists created. The flexibility we get with the Ambie system is fantastic. All the work is done and changes are automatic. The playlists created are just perfect.